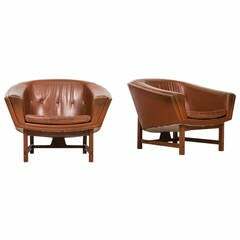 Very rare easy chair model Guama designed by Gonzalo Cordoba. Produced by Dujo in Cuba. A pair of easy chairs model Corona designed by Lennart Bender. Produced by Ulferts in Sweden. 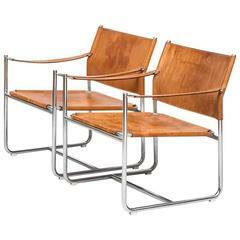 Rare pair of easy chairs model 9015 designed by Hans Olsen. Produced by Gärsnäs in Sweden. Pair of easy chairs model Amiral designed by Karin Mobring. Produced by Ikea in Sweden. 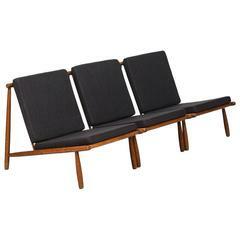 Set of three easy chairs model Domus designed by Alf Svensson. Produced by Dux in Sweden.